Zug, Switzerland – October 16, 2018 – WISeKey International Holding Ltd (“WISeKey”) (SIX: WIHN. OTCQX: WIKYY), a provider of Cybersecurity and IoT solutions, today announced that its consolidated preliminary revenue for the 9 month-period ended September 30, 2018 (“Q3 2018”) is expected to increase to approximately $37.6 million (unaudited), due primarily due to strong demand for the Company’s IoT Technology and Cybersecurity products, and a larger client base resulting from strong synergies between these two main verticals. This represents a 12% increase from the $33.5 million adjusted unaudited consolidated revenue reported for the nine-month period ended September 30, 2017. WISeKey also expects to report improved liquidity with $8.5 million in cash at September 30, 2018, up $2.1 million from September 30, 2017, due to its improved operating performance. WISeKey reinforced its position as a provider of digital identity and IoT security solutions to organizations and manufacturers worldwide. 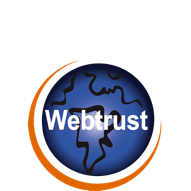 The Company also reinforced its technology’s core with a set of functions designed to be trusted by an operating system called the Root of Trust (RoT), which is exclusively licensed by WISeKey and embedded in nearly four billion devices worldwide. 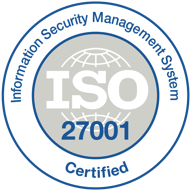 The RoT is a highly dependable environment within a computational device for processing basic level security functions such as encryption and authentication for digital communication protocols such as PKI systems. During 2018 WISeKey primarily focused on securing the IoT with managed PKI software and secure semiconductors, although the Company is working on other initiatives to expand the breadth and scope of its platform using AI, cryptocurrencies and BlockChain. WISeKey received one of the first French National Cybersecurity Agency’s security Visa Labels. WISeKey Semiconductor selected by Proton Technologies AG as its security partner for its innovative secure email offering. Based in Switzerland, ProtonMail, an industry reference, provides secure email services using end-to-end encryption to protect emails and user data. WISeKey announced that its secure chips are immune to hardware bugs that affect the vast majority of Central Processing Units (CPU) because its technology is based on a different architecture and approach. Of note, in early 2018, practically every computer device, server, laptop, tablet and smartphone in the market was affected by two major flaws in the design of the device’s CPU, allowing hackers to steal data. WISeKey Semiconductors received US Patent for a dual-mode anti-counterfeiting NFC IoT Tag for smart bottles (wine, liqueurs, perfumes, pharma, cosmetics etc.) A full description link to patent is available at http://goo.gl/ozgOQm. WISeKey QuoVadis launched its new electronic signature product line PrimoSign. 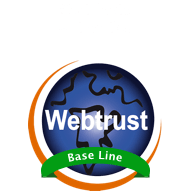 WISeKey QuoVadis is a leading Qualified Trust Service Provider whose e-signing services are used in more than 75 million e-signatures a year. WISeKey expanded its partnerships, particularly within the supply chain management and government sectors, as well as in the US and China regions. WISeKey extended its contract with a leading automobile manufacturer to secure connected cars using trusted cybersecurity IoT technologies. WISeKey’s ISTANA offering for securing connected cars against cyber-attacks was deployed with several leading EU manufacturers and is set to entry the Chinese market in Q4 2018. WISeKey introduced INeS, a Security Broker Solution, designed to secure devices, cloud & IOT applications, integrated with IBM’s new Watson IoT platform. WISeKey leveraged its CertifyID BlockChain Technology to create a Universal Decentralized Identification System. Favre-Leuba selected WISekey’s cutting-edge WISeAuthentic BlockChain platform to protect its luxury timepieces. WISeKey WISeAuthentic BlockChain for brand protection integrated its PKI with Hyperledger Fabric to minimize counterfeiting and fraud. WISeKey and Japanese Toppan Printing, a leader in security printing and anti-counterfeiting, signed a collaboration agreement to securely connect inert objects to the Internet. WISeKey signed a partnership with Highscreen International SA to develop WISePhone – the first ever secure BlockChain phone with cryptocurrency payment capabilities.  WISeCoin AG applied for regulatory clearance from the Swiss financial market regulator, FINMA, to issue a Security Token Offering (STO). WISeKey secured a convertible loan in the amount of $3.0 million from a fund managed by Crede Capital Group, LLC. WISeKey and China Bridge Capital signed an agreement to establish WISeKey China Joint Venture. WISeKey secured a short-term unsecured loan facility in an amount of $3.5 million from a fund managed by Yorkville Advisors Global, LLC and amended its existing Standby Equity Distribution Agreement. ExWorks released all of its security interests on the intellectual property of WISeKey International Holding, WISeKey SA, WISeTrust SA and WISeKey Semiconductors SAS and on the equity interests held by the WISeKey in its subsidiaries WISeKey SA, WISeKey Trust, and WISeKey Semiconductors, retaining only the security interests on the IP and equity of the Quovadis group of companies. Over the past two years, WISeKey has pursued a strategic investments and acquisition strategy to extend its platform capabilities and drive revenue growth. In September 2016, the company acquired VaultIC-a provider of secure integrated circuits and microcontrollers. In 2016 WISeKey made a strategic investment in Open Limit, the German listed Cybersecurity company. In April 2017, WISeKey acquired a majority share (85%) position in QuoVadis-a cybersecurity software vendor providing scalable mPKI, SSL and Digital Signature solutions (remaining 15% of QuoVadis was acquired in May 2018). As consequence of this acquisition WISeKey also owns 10% of HydrantID, a leading US based Identity Management company. In September 2018, WISeKey signed binding agreements to acquire a 22% interest in Tarmin.com the Boston, Massachusetts leader on Data & Software Defined Infrastructure and launched a new Secure Cloud offering. low trading volume on the Swiss Stock Exchange for our category of stock. WISeKey (SIX Swiss Exchange: WIHN) is a leading global cybersecurity company currently deploying via a Virtual Platform large scale digital identity ecosystems. 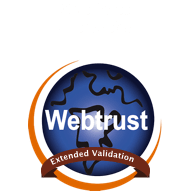 WISeKey’s Swiss based cryptographic Root of Trust (“RoT”) and IoT Microchips provides secure authentication and identification, in both physical and virtual environments, for the Internet of Things, Blockchain and Artificial Intelligence. The WISeKey RoT serves as a common trust anchor to ensure the integrity of online transactions among objects and between objects and people. For more information, visit www.wisekey.com.